Coca Cola’s latest PR spin. You’ve probably seen everyone huddled around the drinks refrigeration cabinet in almost every general store and supermarket you’ve been into over the last few months, diving to the back of the fridge and pulling off almost every bottle from the shelf. If you haven’t, then you probably haven’t been out enough. And all over bottles and cans of Coca Cola. It’s a new craze you can’t escape. Everywhere you go Coke are telling you to “Share a Coke with …” 150 of the most popular names printed onto every Coke, Diet Coke and Coke Zero label. ‘Richard.’ ‘Adam.’ ‘Rebecca.’ ‘Abdul.’ Just to name a few. 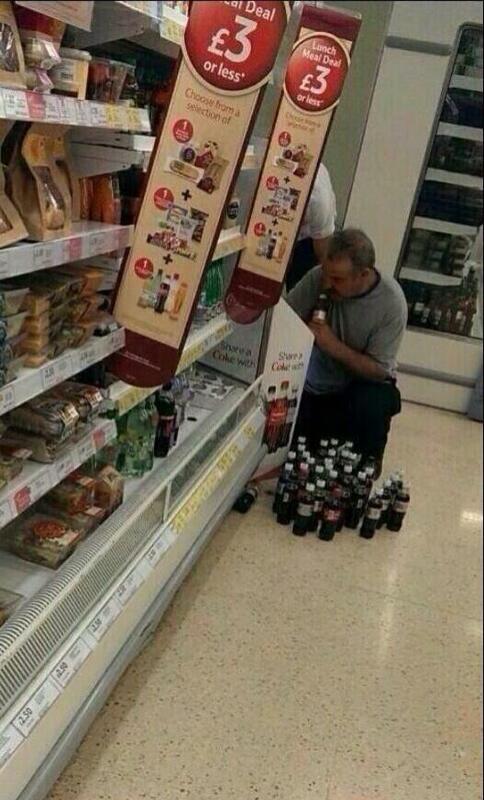 Some, more than others, are taking the ‘Share a Coke’ a little too far. Don’t worry Barry, your name is in there somewhere. Excuse me, but you obviously don’t know me very well; I don’t share my Coke with anyone. Apparently, neither does anyone else. Only last week my sister purposely bought a 500ml bottle of Coca Cola , that she didn’t either want or need, purely because it had “Share a Coke with Richard” on the label. And what do you know? She consumed the entire contents of the bottle before ‘sharing it’ with me. Not that I blame her. I did exactly the same. Twice. It’s like I said. You just don’t share a 500ml bottle of Diet Coke. Maybe Coke should start just producing a ‘Share a Coke with No One’ label. Do YOU share your Coke? Or did you just enjoy this post? Please leave me a comment using the form below to tell me what you did (and didn’t) like about this post and I’ll be sure to get back to you. Just above the comments box are five little grey stars and I’d really appreciate if you turned some of them yellow (preferably all five!) and used it to rate this blog as a quick visual way to let me know which of my posts you are enjoying more than others. You can also follow me on Twitter @RNTomlinson and if you have any suggestions for future posts feel free to leave them down below, or tweet them to me too. « Mother’s Day Poem; You Taught Me. 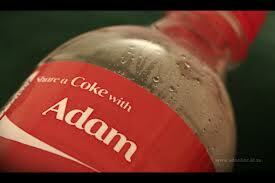 I’m not a coke fan and I’ve bought loads just because they have my name on. And didn’t share a single one I bet! #PointProven! This reeks of awesomeness, I can’t deny it. I inspired someone! YAY!